A serious injury can be overwhelming, but you don’t have to fight back alone. Get in touch with an American Fork injury lawyer for help recovering fair compensation. Accidents are a part of life, and many of us avoid near misses and injuries many times. But when someone is careless, it can be difficult or even impossible to avoid a bad fall, an auto wreck, or an exploding home appliance. Sometimes, injuries are unfortunate but unavoidable. Your accident might have never happened if someone had just taken the time and care to keep you safe. That leaves you in an overwhelming situation: injured, in pain, and dealing with high expenses. 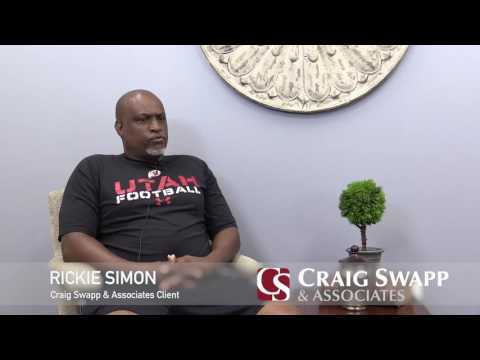 If you need help, reach out to an American Fork personal injury lawyer at Craig Swapp & Associates. Our attorneys can help you fight back after your serious injury. Not every accident is grounds for a personal injury claim in American Fork, so what does count? Generally, a personal injury claim requires that you were injured in a way that could have been avoided if the other person had been careful with your safety. Slip-and-Fall Accidents – If a business doesn’t protect your safety while you’re on the property, you could seek compensation for any injuries that result. A serious fall could leave you with head trauma and other injuries, which can be costly and time-consuming to recover from. Product Liability – We use appliances and other products every day for our health and convenience. When that goes wrong, and if the manufacturer didn’t ensure that the product was safe, you could be eligible for compensation for your injuries. Vehicle Accidents – Breaking the rules of the road is a recipe for disaster. When another driver—whether he or she is driving a car, motorcycle, or truck—takes risks with your health and safety, speak to a personal injury lawyer in American Fork about how to recover compensation. After a serious accident, you’ll need compensation for the damages you’ve suffered. Generally, damages fall into two categories: economic and non-economic. Economic damages are the financial losses you suffer when you have a serious injury. This might include your medical expenses, your lost wages, and any property damage you’ve sustained. In these cases, you’ll need to determine the costs of all of these damages. Non-economic damages are different. These damages involve the intangible hardships you’ve suffered through because of the mental and emotional toll of your injuries. Emotional trauma, loss of consortium, and pain and suffering are all non-economic damages. The value of these can be difficult to calculate because they’re non-financial, so speak to your attorney for guidance. A serious injury can take a toll on you, but you don’t have to suffer without help. A lawyer from Craig Swapp & Associates can ensure that you get the full compensation you deserve. It’s easy to end up losing the funds you need from your claim, so don’t put yourself at risk. For a free consultation, give an American Fork personal injury lawyer a call. We can guide you through your case and make sure you get all of your damages covered. Just give us a call at 1-800-404-9000 or fill out our online contact form at the bottom of this page.